Toko Assurance celebrated its Fifth Anniversary with a warm reception for staff, their nationwide agents, brokers and clients. In his speech Toko Assurance’s CEO, Mr. Chong Yoong Swee, thanked the agents and customers for their treasured support which, he stated, has contributed greatly to spectacular growth of 35% for Toko in 2012. The Award Ceremony for its top agents was the climax of the evening setting a positive tone for an even better performance in 2013. J&C Expat Services, represented by Mr. Stephan Aeschbach, Senior Partner, was awarded as the “Top Agent Silver”. “Being a Top Agent for Toko in Laos is a great honor” said Mr. Aeschbach, “I would like to thank all customers of J&C Services for their support and for trusting in our services. Furthermore, I would like to thank the entire team of Toko Assurance for their outstanding support”. 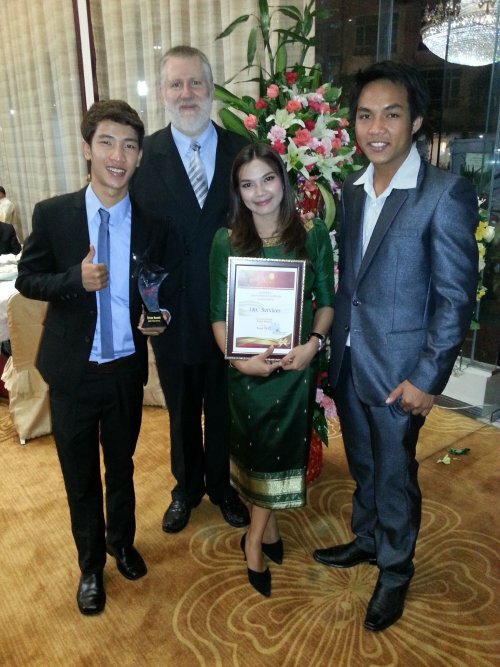 J&C Services was awarded already in the previous year with “Top Agent Bronze”. “J&C Expat Services strong performance is impressive, with almost doubling its insurance portfolio in 2012” explains CEO Chong. 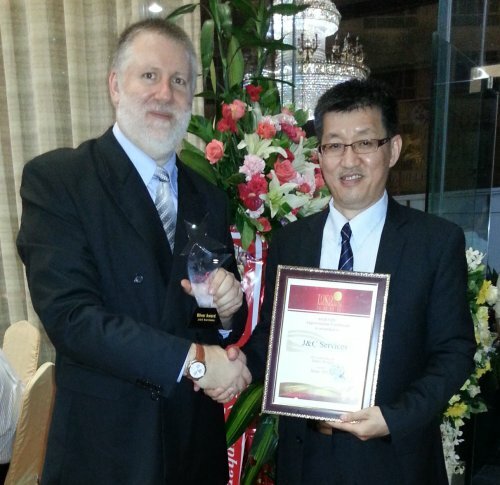 “J&C Services has become an important link between the Expat Community in Vientiane and Toko Assurance”. As a smaller niche provider, J&C is big on service and always has been.